Yesterday it was first reported on TMZ that Paul Walker had passed away via a car crash. This was quickly disputed by fans and why not? The day before a hoax of his death via such a method was distributed, and we have seen many celebrity death hoax in the past couple of years by sick individuals. Jackie Chan and Eddie Murphy were both targets and are alive and well. What made the news more confusing yesterday was reports refuting the death or the hoax, but in fact it has happened. 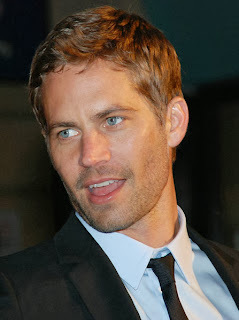 Another reason fans were in disbelief is of course what actor Paul Walker is most known for and this is his role of Brian O'Conner in the Fast and Furious franchise. However he is a racing enthusiast and died as a passenger of a Porsche Carrera GT with his friend Roger Rodas as the driver who also perished. Roger if you're not familiar with him is a former professional racecar driver. They were just returning from a charity event that proceeds would help the victims of Typhoon Haiyan. We reported the sad news on our Facebook page only when we confirmed with several reputable news sources that had confirmed with law enforcement where the accident happened and again when his publicist confirmed the news. While he is most known for his role in Fast & Furious, he does have a long filmography that includes notable films such as Timeline and Takers. Many of you are asking what will happen to the Fast & Furious franchise now with him gone. Fast & Furious 7 is in post production, which means that the filming is usually done and just needs editing and other effects and music added to it. Besides that he was also in Brick Mansions which should be out next year as well. Releasing in two weeks is the film "Hours" which the press has started to screen. To me, Paul Walker will be sadly missed if they decide to continue to make additional Fast & Furious movies beyond 7. His charisma and interaction with his "brother" Vin Diesel (Dominic Toretto) especially in the first movie are some of the best scenes in the franchise. They have done a Fast & Furious movie before without the main stars, with Paul Walker only in a cameo role in the end. But that film was considered one of the worst films of the franchise. Paul Walker leaves behind a daughter, Meadow with his former girlfriend. My condolences to his friends and family.